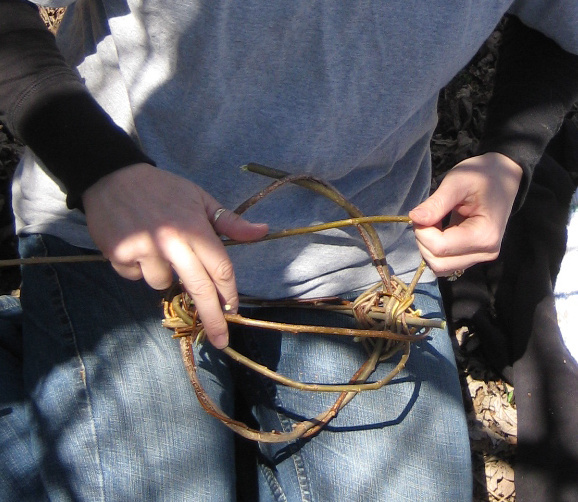 Kay from the Brenton Arboretum led a small group of us in willow weaving a few days ago. 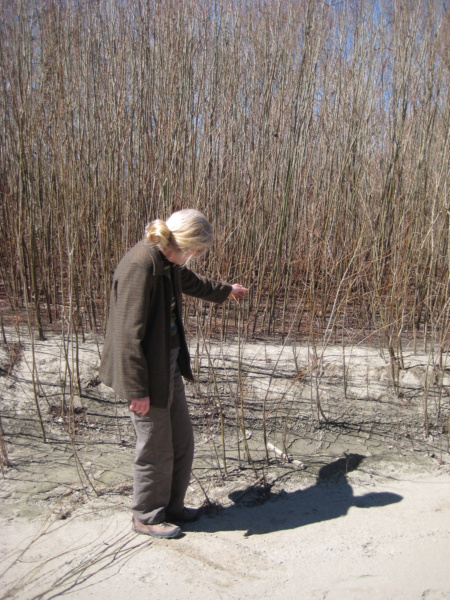 First we found a bank full of sandbar willows. 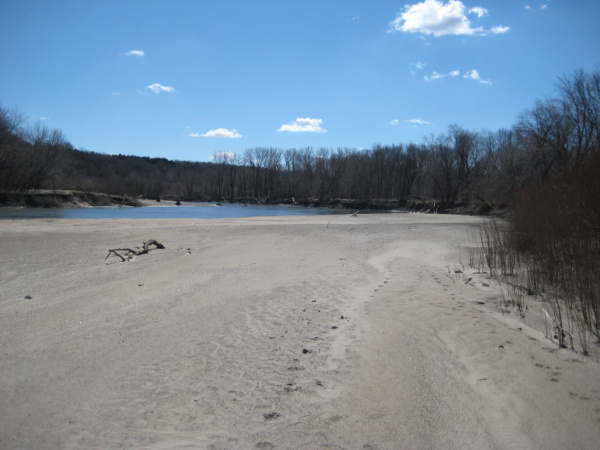 See the tall stuff on the right? That’s what we want. 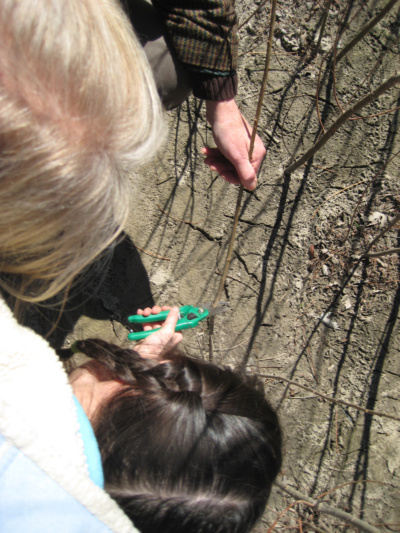 We went about identifying willows that were about as thick as a pencil, then cut them for weaving. 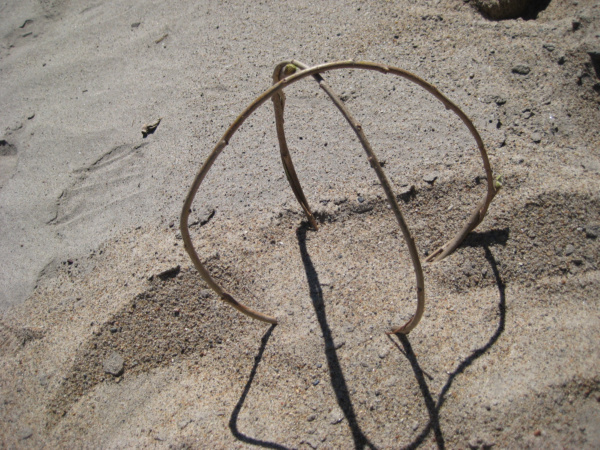 And set them perpendicular to each other in the sand. 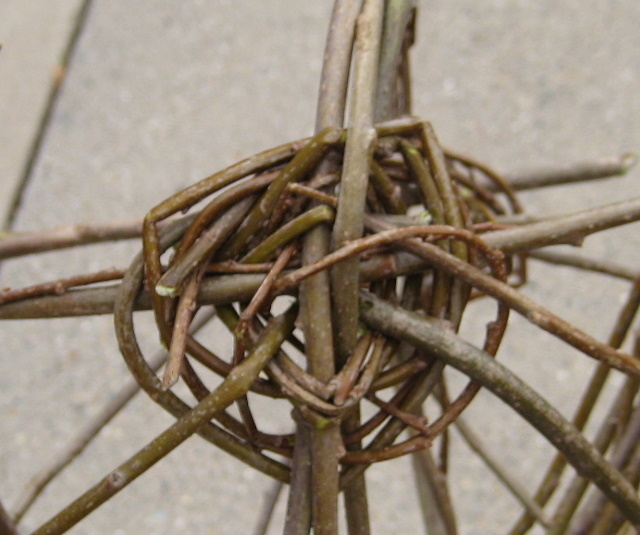 With another willow, wrap the “corners” or intersections to secure the two circles in place. You’ll want the wrapping to be about 2″ beyond the joint. 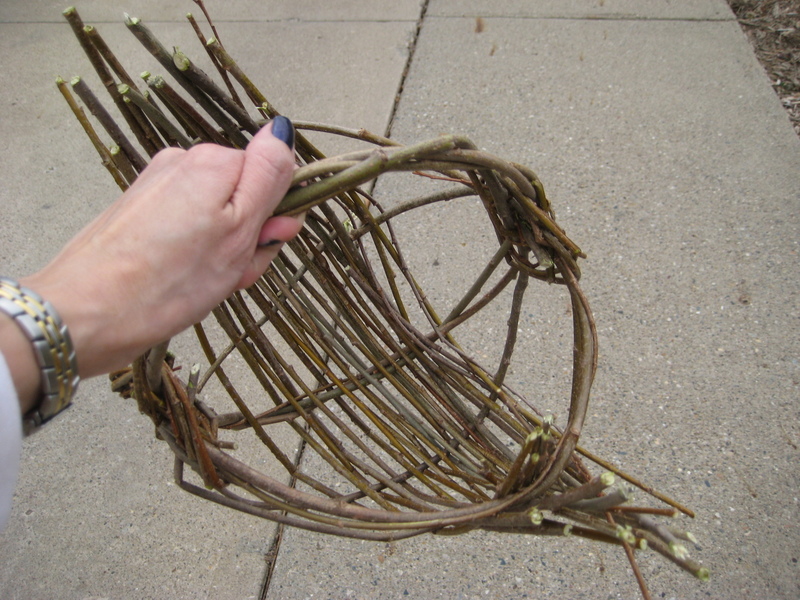 With more willows, you’ll add what I call “stretchers.” I am sure there is a basketry term for this, but it’s the ribcage that will be woven through. The ends of the stretchers are secured in the intersections. Now the end is near! 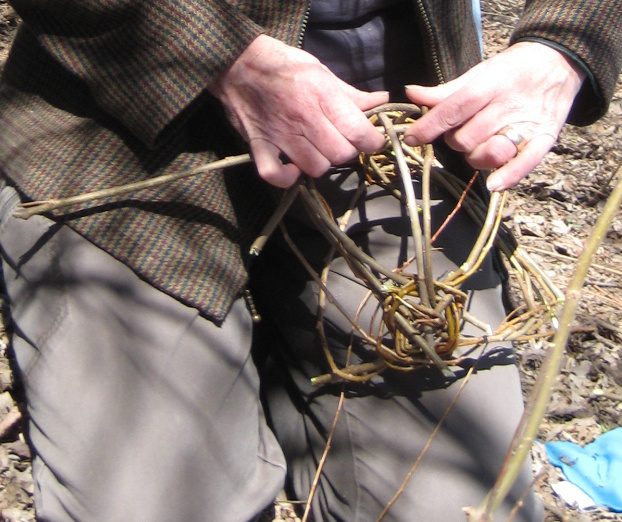 Weave willows under and over the stretchers. I’m almost done. I’ll finish by making another wreath, which I’ll install from the bottom up in order to ensure a tight fit around the rim. I’ll trim the ends of the weavings and be finished! 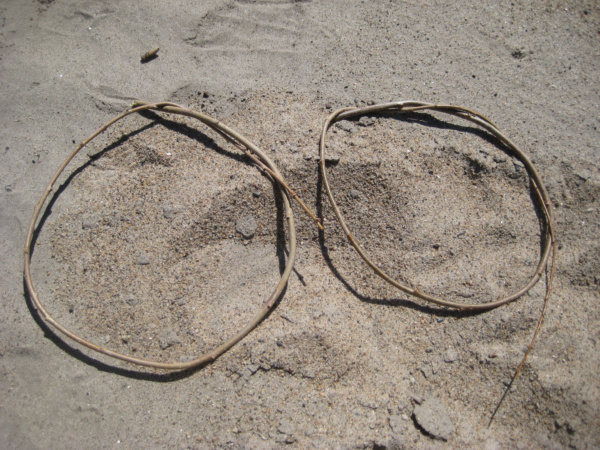 This entry was posted in crafting, frugal family and tagged willow weaving. Bookmark the permalink.